Now that I am pregnant and about the pop next month, there is a main reason why I need to monitor my blood pressure, since we can't really tell about the time and what lies in the future. It's best to have them with you at home in order to get my blood pressure checked whenever I feel lightheaded to ensure that everything is okay with me and the baby or maybe it's just a part of being pregnant. I'm fortunate to try a new health device called an Upper Arm Blood Pressure Monitor from Health Gurus. It came in the mail through USPS in a good condition. The shipment is pretty much okay, not late and not too soon just about the right time. The packaging is also better, got this product in a bigger box than I thought, however, as long as I have the item safe and in good shape doesn't matter to me. When I opened the product, I love how they have the blood pressure monitor secure in the box. I don't know much about getting a BP however, the manual that comes with the product is a big help for those who doesn't know how to take blood pressure, including yours truly. It helps you indicates what goes where, and what are those signs numbers and labels on the monitor screen. I also like that it came with 4 AAA batteries, that way I can use the product right away, very clever. Some company I've noticed don't do that. The cuff is one size fits all and the direction in the manual is just very useful. 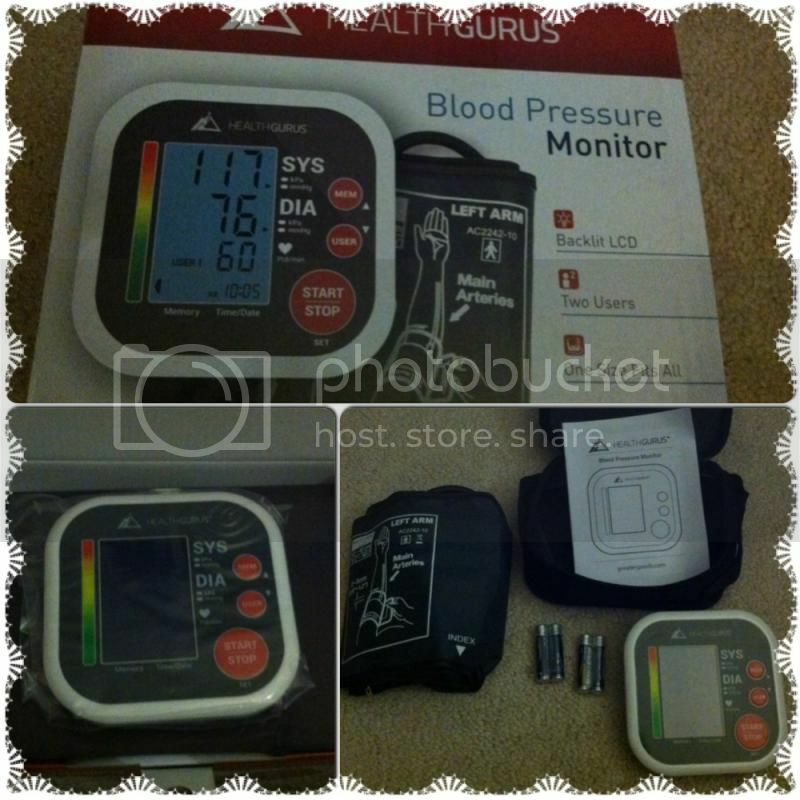 Health Gurus' upper arm blood pressure monitor is indeed very helpful. If you don't own one at home, it's time to get one. Get your BP checked every day, it doesn't hurt you, though, it would assist you monitor your blood pressure whenever you feel like you need to. One medical gadget that we need to have in the house. I am excited for you and your baby. This would be so handy for you. How much does this blood pressure monitor cost? I need one for my parents who are both on maintenance medication for high blood pressure. Digital blood pressure monitors are not that accurate, compared to the aneroid monitors. However, if we are only concerned about indicators of an elevation or a drop in blood pressure, then a digital blood pressure monitor would do.